Ok, so let’s be honest, you were injured on your nursing job because you didn’t follow proper procedural techniques right? I mean, you’ve been taught how to lift, move, handle, position, transfer, and turn-and-reposition patients right? For example, maybe when your new admission arrived in a wheelchair, you discovered he couldn’t bear weight, yet insisted on going to bed. You knew you needed help, but you discovered that not only were you tired because you were at the beginning of your third 12-hour shift, but the unit was short-staffed with no available co-workers to assist—undoubtedly because they were trying to overcome their own complex patient care dilemmas. When you concluded your only option was yourself, you remembered that not only are you an invincible nurse capable of being prudent in all aspects of patient care, but you were taught proper body mechanics. You recalled that you are skilled, with the track record to prove it, so with minimum help from your patient, you could make it happen. After all, when it’s all on the line, it’s what you do; you are a nurse! But now you find yourself injured because you didn’t apply proper body mechanics or get the help you needed. It’s your fault, or is it? So let’s review what happened. As you assessed the situation, you knew that your best chance to pull this off was by placing the patient in his wheelchair as close to the side of the hospital bed as possible with him facing the head of the bed. You knew to lock the wheelchairs’ wheels because as a prudent clinician, you must always consider patient safety first, even if that means neglecting your own. Just like we’ve all been taught, you stood in front of the seated patient while taking your dominant leg and placing it between his legs as you squatted. You knew that while keeping your back straight and focusing on using your legs, your position should resemble the positioning similar to what it looks like when you properly perform a standing leg-squat exercise in the local fitness gym. What you might not have thought about is that if you applied proper body mechanics as how they’re taught, your face should be about chest-level to your patient. You attempted to execute this movement while bending at the waist, considering it the equivalent to keeping your back straight, because this is the more natural human movement. You performed the lift with your arms around the patient’s waist with his arms around your neck, trusting that he was able to assist at least a little. You told your patient to try to stand on the count of three. As you lifted, he stood, you pivoted with him between your arms, and then you both fell onto the bed. Now at least he was in the bed and though it wasn’t pretty, it was more convenient. An added benefit was that your patient was happy and relieved to be in bed. On the other hand you ended up walking away with an injury. But that’s the nature of the job, right? If you’re injured, it’s your fault because you obviously didn’t do something right. Here’s the point: No research has validated that the appropriate way to lift human body weight is by applying proper body mechanic techniques. The truth of the matter is that given the workspace in most patient care environments, it often requires the caregiver to perform many patient care tasks from awkward positions resulting in awkward body posturing, which defies the logic for most body mechanic principles. The risk of injury for direct patient care staff is high. However, “most” is different from “all.” It is indeed safer to hold objects close when lifting, to keep objects at workable heights, and to push as opposed to pull—all body mechanic principles. But as it relates to the force required to maneuver human weight, even with assistance, don’t be convinced in believing that you are somehow dividing the weight by two, because human body weight is not evenly distributed. So then is it really your fault if you are injured from lifting patients? Not really, but a scenario like the one in this article should give you pause. It’s not enough to think “good body mechanics”; you need to consider other resources. The bottom line is that you can’t safely lift patients without the assistance of mechanical patient-lifts accompanied by a comprehensive safe patient handling program. 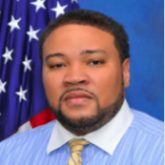 Roric P. Hawkins is the CEO of Strategic Lifting Solutions Consultants, LLC and is the safe patient handling coordinator at Michael E. DeBakey VAMC in Houston. The views expressed here are his own.